Receive FREE Thermometer with Primo Grills. For a limited time only, take advantage of our Primo Spring Promo. Buy any Primo Round Grill & receive free instant read thermometer. 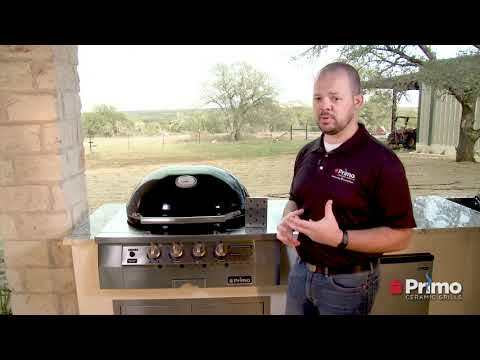 Buy any Primo Oval Grill & receive free remote wireless thermometer. To receive your thermometer after the purchase of your grill, fill out the form here. 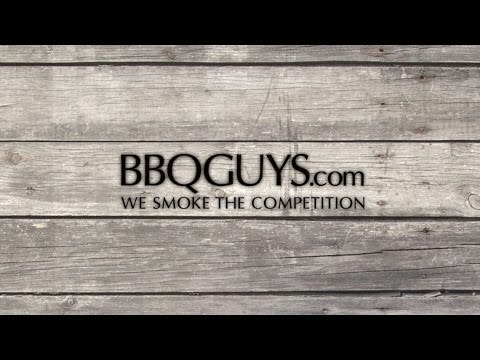 Primo revolutionized the world of kamado grills with their unique oval shape, and now they are bringing the revolution to gas grills. While most gas grills cook food by radiating high heat, drawing moisture out of food, the ceramic body of the Primo Oval G 420 functions as an insulator to retain more heat and natural moisture in your food. This built-in gas grill is made in the USA and constructed with premium grade Primo SuperCeramics and coated with a protective, lead-free, and scratch-resistant porcelain glaze. The Primo Oval G420 efficiently retains and evenly distributes heat across the 420 square inches of cooking surface, perfect for maintaining a consistent temperature. Four 304 grade stainless steel tube burners are rated for 21,000 BTUs. Use the low temp burners to smoke meat at temperatures as low as 220 degrees Fahrenheit, or turn up the high temp burners to heat to more than 600 degrees Fahrenheit for searing and grilling. The flavor grids keep flare-ups to a minimum and are made from 304 grade stainless steel for increased durability. Electric ignition lights the burners quickly and safely. The smoker box allows you to infuse food with true wood-fired flavor, whether you are smoking or grilling. The full-size drip tray helps make cleaning a breeze. Cooking Grid Dimensions 25 X 18 1/2"
The burners and gas valves are warranted, to the original purchaser, for a Limited Lifetime and are backed by a twenty (20) year guarantee on all ceramic parts. The ignitor is warranted for one (1) year. The warranty is limited to the repair or replacement of any parts which, under normal use, Primo determines, after reasonable examination, to be defective.